Claire (right) pictured with the local children. Claire Theberge, Seacoast United U13G Premier goalkeeper, travelled from November 1-8th on a missions trip with her church group to Buff Bay, Jamaica. Her group stayed in a mission house in the middle of town, in a community where most people live in tin houses. There were 17 on the team, including Claire’s older sister, grandmother, and aunt. Their work in the town included visiting schools, hospitals, churches, sports teams, and running a Vacation Bible School for the local children. 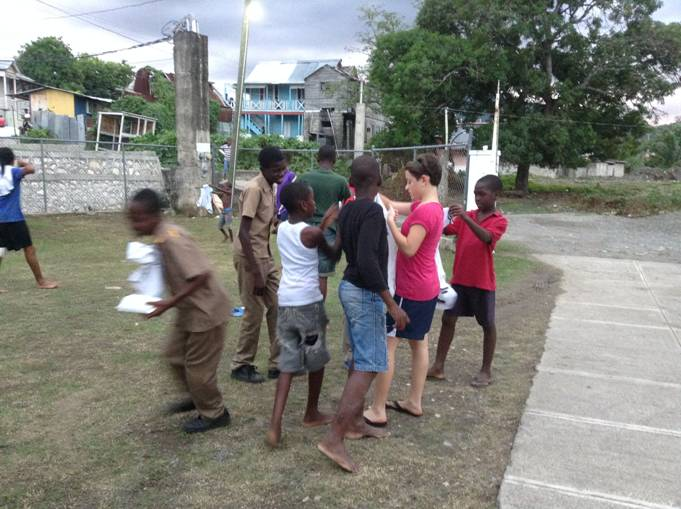 “One of my favorite activities was giving out soccer supplies,” commented Claire. 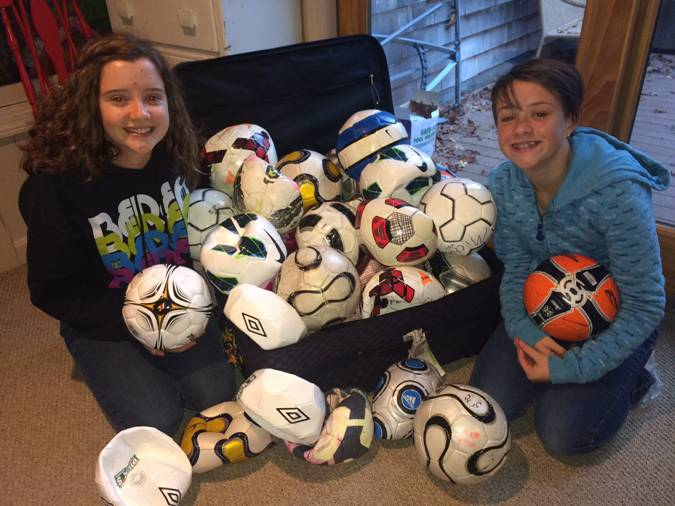 Claire (right) pictured with her older sister Emma and their soccer ball donations. 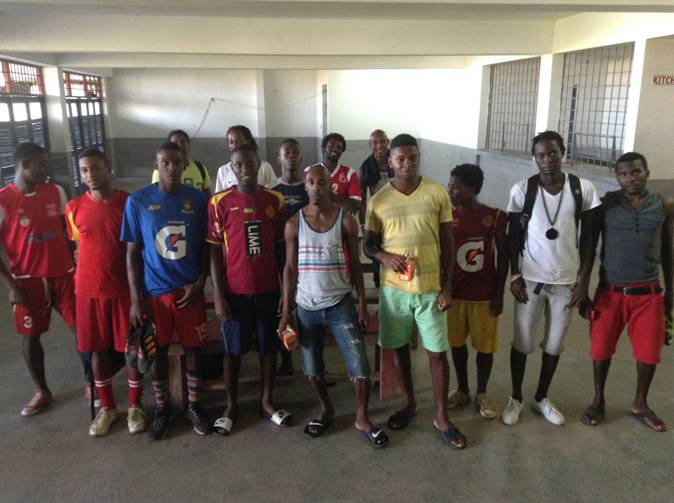 On Thursday Claire had the opportunity to visit the Buff Bay semi-professional soccer team. She was able to play juggle pass with the team while waiting for the practice field to be available. Impressed with the players’ foot skills, Claire noted how much of an honor it was to play with them. She presented them a bag with 3 match balls and jerseys. Having new balls was exciting for them, and they were really taken by having a matching set of shirts. Another memorable experience was playing soccer outside every day with the smiling kids from the neighborhood. They are quite talented, and when Claire had the ball she found it enjoyable to see them in a circle around her calling her name for a pass. Distributing shirts to the local children. Juggling a soccer ball with the Buff Bay semi professional team. Photo of the Buff Bay semi pro team.